Today was Day #4 of Chocolate and Mango Theme Week. 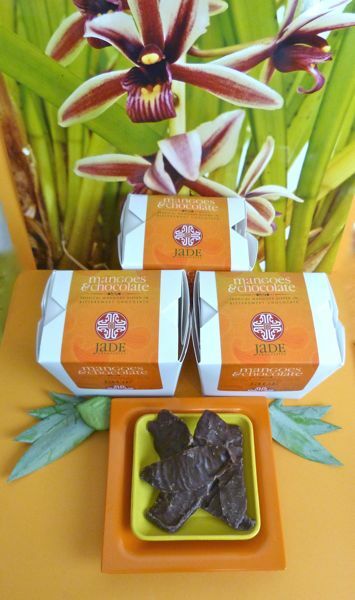 Chocolatier Mindy Fong, of Jade Chocolates (San Francisco, CA), has combined chocolate and mango in unique and beautiful ways. Today's "Mangos and Chocolate" offering came packaged in take-out style containers (available online in groups of three). 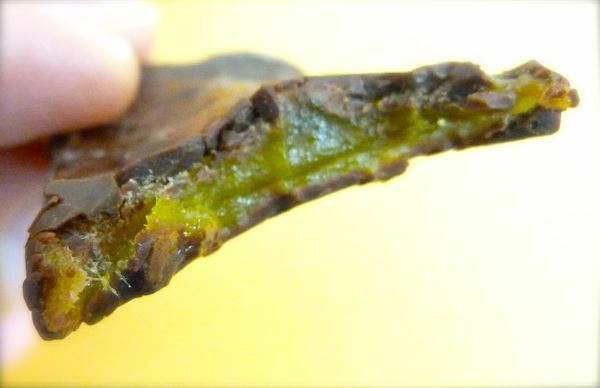 Inside, thick strips of dried, tropical mango were glazed in bittersweet chocolate. The flavors were fresh and well balanced. 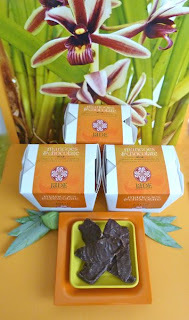 Stay tuned for Jade Chocolates' other mango and chocolate creations, including edible mango orchids -- a work of art. They'll be featured later this week.